Mary Rita (Mersereau) McCarthy was born in Saint John, NB, into a large Acadian family. Always quick to learn, Rita easily made the transition from her native French to English once she started school. She graduated with honours from St. Vincent’s High School in 1946 and furthered her studies at Mount Carmel, again achieving honours. Following a stint with the Royal Bank, Rita met and married Arthur McCarthy in 1954 in Saint John, where they raised a family of six: Patrick, Maureen, Peter, Ann, Michael and Danny. 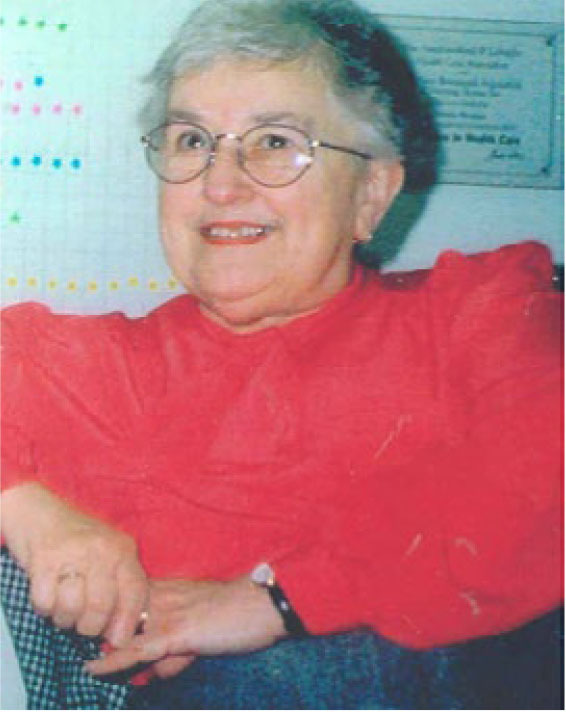 Their lives centered around their family, church and community where Rita devoted considerable volunteer time to St. Anne’s Church, their Ladies Society, the children’s school in Forest Hills and Simonds Co-op. Inspired by her faith, Rita reserved a great deal of energy and dedication over the years for The Catholic Bookstore and the East Saint John Food Bank, where she played founding roles. Rita provided the steadying influence at home with Art’s 39-year-career as a commercial traveler for Fairbanks Morse and its successors, often taking him out of town. Rita was highly regarded by all who knew her or of her good deeds, including parish priests Father O’Leary and Raymond Stack. She was honoured for her exceptional dedication to community service by the late educator and Member of The New Brunswick Legislature, George Jenkins. The McCarthys spent many happy holidays on Belleisle Bay, later including their 12 grandchildren. Although she was never one to seek recognition or thanks, Doris likens Rita to the Biblical model of service, Dorcas, declaring Rita, “a virtuous woman.” Like Rita’s life, which expanded to encompass a growing family and charitable community causes, they foresee the permanent fund growing to support an award in her name. The fund was entrusted to The Greater Saint John Community Foundation in June 2004. Rita’s many friends, admirers and family have come together, taking the lead from Doris Evans, a longtime co-volunteer and friend at the East Saint John Food Bank, to establish a fund in her memory, the Mary Rita (Mersereau) McCarthy Fund.